More than 50 years after his victory in the Pacific, the World War II United States Marine is vividly alive again in Gyrene. 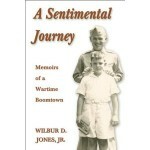 The scope and details record, analyze, and interpret the personal and cultural history of the enlisted men of America’s celebrated fighting force which swept through the South and Central Pacific. Overall, Gyrene paints a picture of who and what the Marine was and why and how he performed his duty. 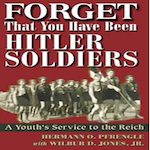 It tells no tales of great victories, grand strategies, famous generals, or decorated heroes. In his war, there was no London, Paris, or Rome. Both profound and entertaining, it adds a fresh new dimension to and historical perspective on the composition and quality of the Marine. 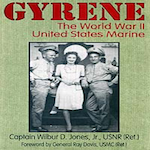 Gyrene examines the man’s pre-war environment and characteristics and sees them molded into a Marine. Prototype common Marines are constructed at the time he entered service and later after combat. 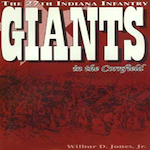 A legend of units and ranks, and a comprehensive glossary are provided. Themes and conclusions describe how a Marine reacted to the life and culture, adapted, developed, and survived. The Corps’ myths, fabled esprit de corps, and enduring brotherhood are critiqued. All aspects reflect an unremitting devotion to each other, the Corps, and country, able to sustain him to final victory.